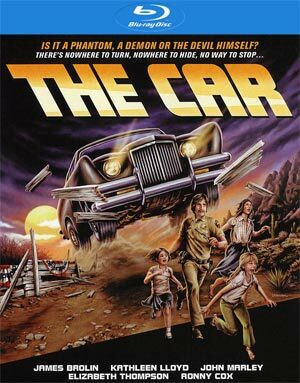 The Car is a cheese-ball action/thriller with more laughable scenes than anything scary or even horrific. The acting is subpar however I can’t place much blame on James Brolin or Ronny Cox considering the material they’re given. Producers wanted this to be Jaws on land which in itself is a hilarious concept and boy did this deliver the goods with a supernatural twist at the end. The peaceful and tranquility of a small Western town is disturbed when a murderous car wreaks havoc by viciously mowing down innocent victims. 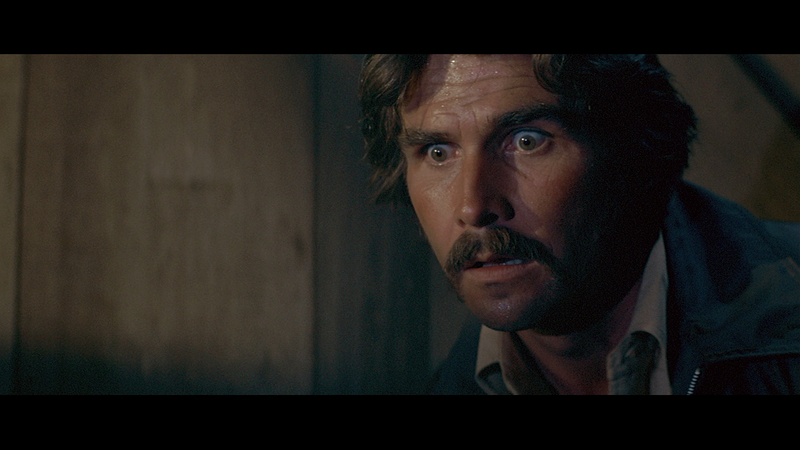 The new sheriff, Wade Parent (JAMES BROLIN), may be the only one who can stop this menace in its tracks. But what Wade Parent doesn’t realize is that the driver of this indestructible vehicle is far more dangerous than any man… because it is driven by pure evil. The disc is a tad light on features but we do get new Interviews with Director Elliot Silverstein (9:16), Actress Geraldine Keams (12:10) and Actress Melody Thomas Scott (11:52), each of whom reflect on their time working on the film. Also included is the Theatrical Trailer (2:15), a TV Spot (0:34), Radio Spots (3:09) and a Still Gallery. 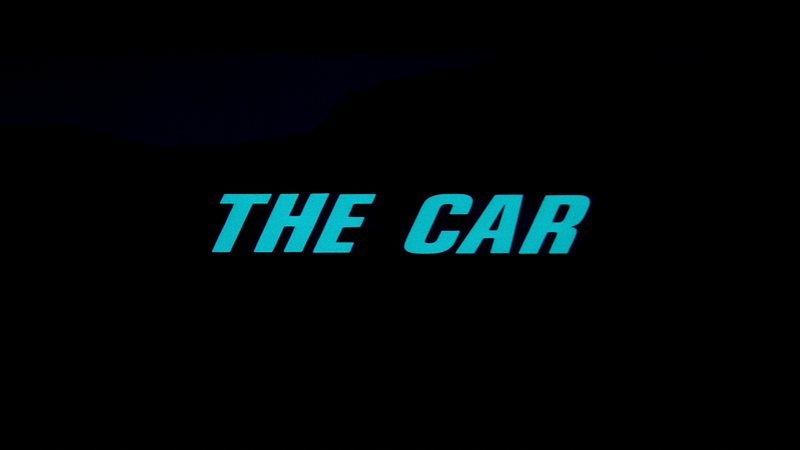 Shout Factory, through their Scream horror line, The Car drives off the lot presented in its original 2.35 widescreen aspect ratio and given a 1080p high-definition transfer (MPEG-4 AVC codec). The picture actually isn’t half bad with good detail throughout and colors appear to be as it was originally seen geared more toward warmer tones seeing it takes place in the desert. There were no major instances of aliasing or artifacts so it’s a nice and clean, far better than what was seen before and night and day compared with the footage from the trailer. The DTS-HD Master Audio 2.0 track is decent enough providing for good dialogue levels and even the action scenes as the car runs down its victims, culminating with its roadrunner-esque horn as it drives away. It’s not entirely dynamic given its limited number of channels yet it’s certainly more than satisfactory. 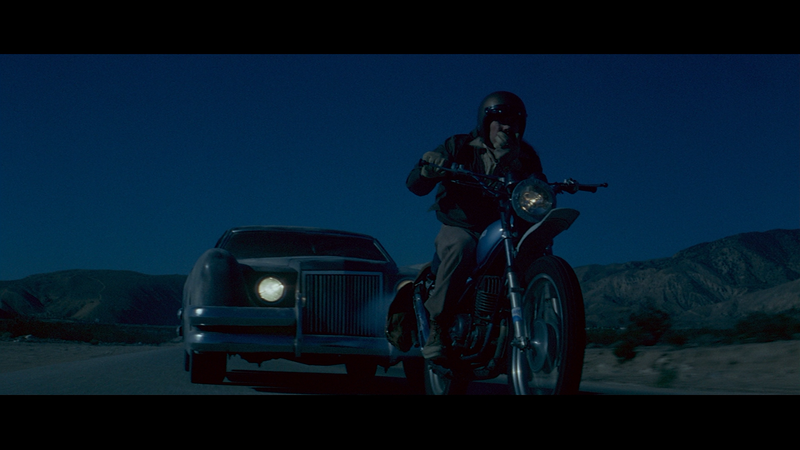 Overall, The Car is a cheese-ball action/thriller with more laughable scenes than anything scary or even horrific. The acting is subpar however I can’t place much blame on James Brolin or Ronny Cox considering the material they’re given. Producers wanted this to be Jaws on land which in itself is a hilarious concept and boy did this deliver the goods with a supernatural twist at the end.